Sweep coagulation could be clearly explained with the following information, which is the complement of the coagulation mechanism. The second new finding is that the “dissolved Al” in the supernatant is actually nanoparticles, at least during the period of the experiments. Both findings are a significant contribution to the water treatment industry, especially coagulation area. This study may have broader implications for the release of Al from sediments into lake water, following the addition of coagulants to lower phosphorus concentrations. The results also suggest that the dosing of Al or Fe coagulants is probably not a suitable method for remediation of lake water. 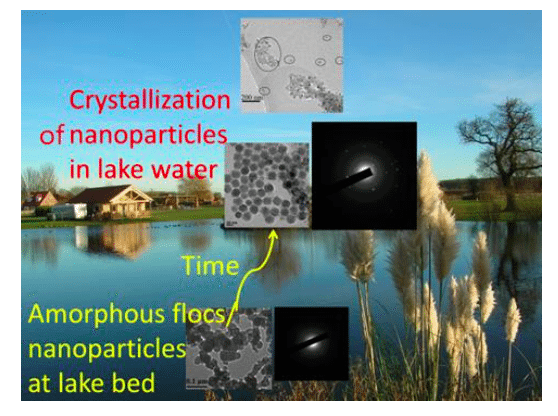 Figure 1 Amorphous precipitated flocs/particles settled at the lake bed become/escape into crystallized nanoparticles in the lake water (light points in the black X-ray pictures confirmed the crystallization of nanoparticles). Republished with permission from Elsevier from https://doi.org/10.1016/j.watres.2018.06.063. When aluminum salts are added to water at a relatively neutral pH, a precipitate of Al hydroxide quickly forms. Initially, the precipitate is in the form of nanoscale primary particles, which then aggregate to form flocs. The nature of the flocs depends on the solution composition — for instance, on the presence of humic acid (HA), which not only increases the size of the primary nanoparticles but also decreases the connection points between them. With or without the presence of HA, the nanoparticles become smaller with aging as a result of crystallization. The aggregated amorphous nanoparticles (settled flocs) undergo a room temperature structural modiﬁcation best characterized as a disorder-to-order transition, following the elimination of water. During this process, the apparent Al concentration in the supernatant of water increases with age. The “dissolved Al” concentration in the supernatant becomes higher with increasing pH and, to some extent, in the presence of HA. However, it can be shown that the “dissolved Al” in the supernatant exists in the form of crystalline nano-particles or larger clusters, which are detached from the settled flocs. 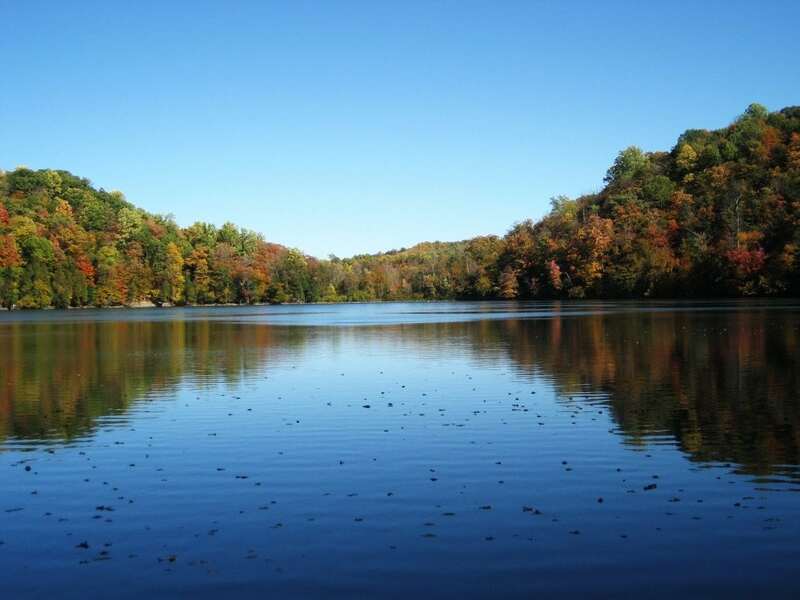 It means that adding coagulants to the water is not a suitable method to remove phosphate in the lake. The results of transmission electron microscope (TEM) confirmed that HA only adsorbed on the surface of nanoparticles during the coagulation process, which shows precipitate nanoparticles formed firstly during sweep coagulation (one of the most important coagulation mechanism) before the adsorption of HA or complexed Al3+-HA. However, the adsorbed outer layer of HA does not change the crystallization process for the inner part of nano-particles. Although the adsorption of HA on nanoparticle surface would decrease the hydroxyl bridges, as the nanoparticles adsorb the HA-Al3+ complex on the surface, the connection between these nanoparticles only decreased a little. Van der Waals force and chemical bonds are the two attractive forces between nanoparticles, and the chemical bonds of HA-Al3+ complex on the surface of nanoparticles determined the connection efficiency. Therefore, the structure of HA-Al3+ complex on the surface of nanoparticles would be investigated in the future, to explore its chemical and physical characteristics. These findings are described in the article entitled Effect of crystallization of settled aluminum hydroxide precipitate on “dissolved Al”, recently published in the journal Water Research. This work was conducted by a team including Wenzheng Yu from Research Centre for Eco-Environmental Sciences, Chinese Academy of Sciences, Lei Xu from University College Dublin, and Kaiyu Lei from Imperial College London, and John Gregory from University College London. Wenzheng Yu is a researcher affiliated with Imperial College and a professor at the Chinese Academy of Sciences in the Research Center for Eco-Environmental Sciences. Dr. Yu has carried out research on reaction mechanisms and innovative technologies of water treatment, especially focusing on mechanisms of flocculation and control of membrane fouling in drinking water treatment. He received his PhD degree at Harbin Institute of Technology. Previous Post« Previous Wild Cats For The Future?